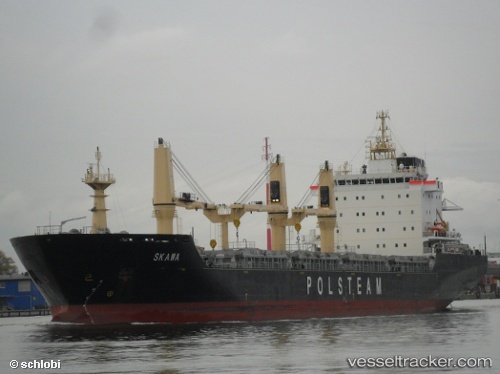 On November 15, the 144 meter long bulk carrier Skawa ran aground on a shoal in the St. Lawrence River near Richards Point. The Skawa was heading downstream when it suffered main engine failure. The bulk carrier passed over the shoal before it came to rest in deeper water. The vessel’s forepeak tank was holed and suffered water ingress. No reports of injuries or pollution released. The crew pumped air into the tank and brought the water ingress under control. The Skawa had been en route to Montreal from Port Colborne.